One day you lose a record, another day you set a new one. The Bugatti Veyron Grand Sport Vitesse is now officially the fastest car in the world... Well, the fastest car without a roof. 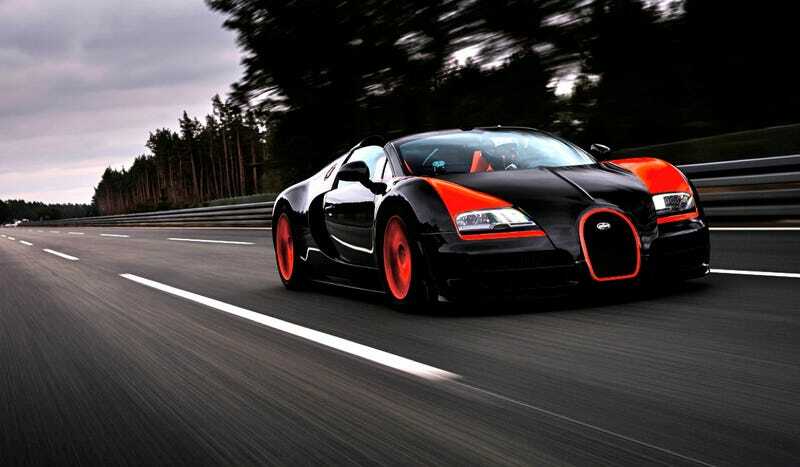 A hauntingly orange and black Vitesse, dubbed the World Record Edition, hit 254.04 mph at Volkswagen's Ehra Lessien Test Track in Germany. And that's freaking fast, especially with the top down. It's actually faster than speeds IndyCars are currently hitting on any ovals on the calendar. Congrats to Bugatti... now just wait for Hennessey to test the Venom GT Spyder.